A LOCAL mother has become the latest victim of scrap metal theft as the upsurge in thefts continues across the West.Cathy Creighton from Mizen Gardens in Lenadoon had one of her metal gates stolen from the front of her house last Saturday night as she slept in her bed. 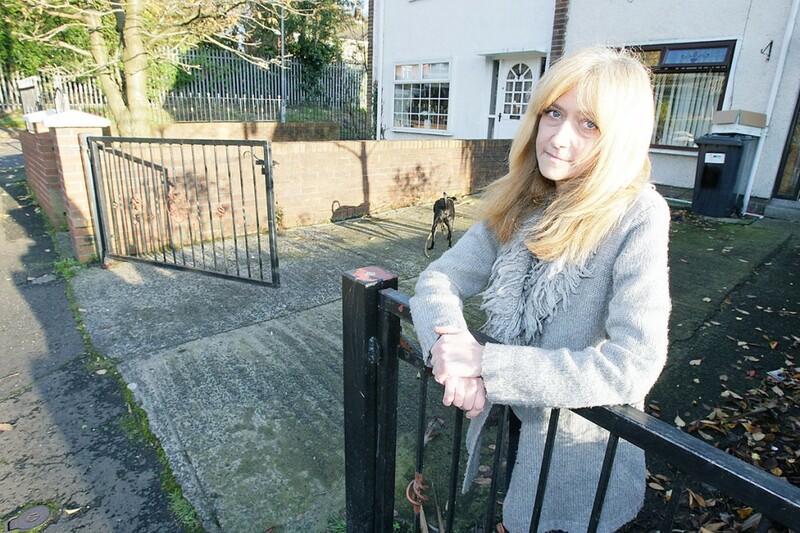 Speaking to the Andersonstown News, Cathy said that the gate will cost £150 to replace – “and I just don’t have that sort of money it at the minute”. “It’s an absolute disgrace that this is happening to people,” she said. “I was in the house all of last Saturday and people – who I had never seen in the estate before – called to the house asking if they could clean up the front of my house. I told them I didn’t have the money and to call back another time. “I went to bed early on Saturday night and woke up on Sunday to see the gate had been lifted. Those gates are very heavy so whoever took it didn’t act alone. A friend of mine said you would get about £10 for it at the scrap metal yard – but it will cost me £150 to get a new one,” she said. Cathy, who lives with her nine- and ten-year-old daughters, said she would appeal to people to be on their guard. “Maybe it’s my fault that I didn’t have a lock on them, but you don’t go to bed thinking someone is going to try and steal your gates. In recent months the Andersonstown News has reported the theft of manhole covers as well as lead and copper from roofs throughout West Belfast.